Aquitaine Bistro builds on the success of Aquitaine Boston and Aquitaine Chestnut Hill. 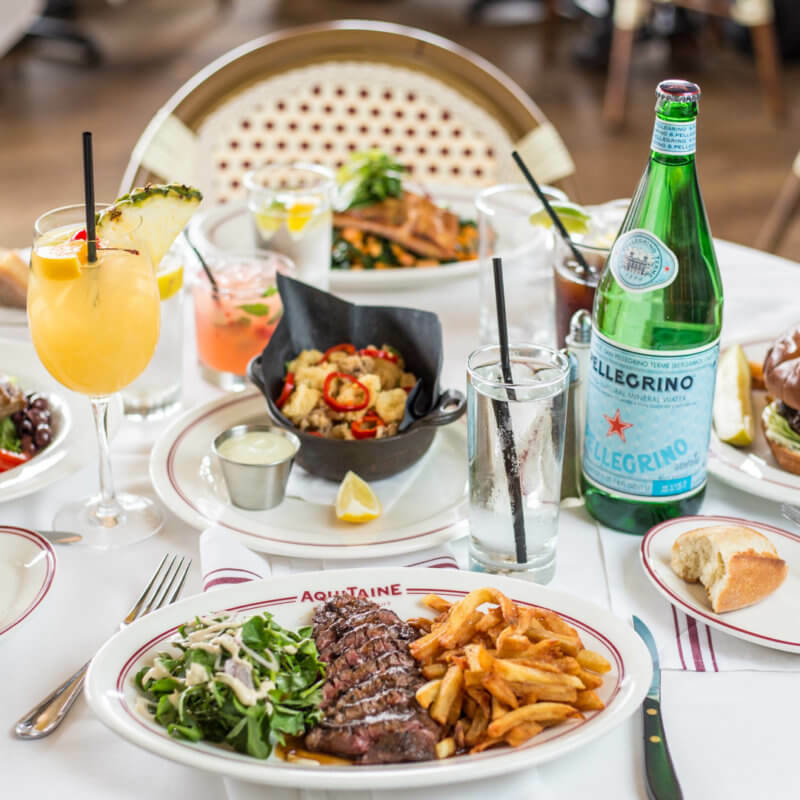 Inspired by Parisian neighborhood bistros, the 185-seat Aquitaine Dedham, offers an authentic French dining experience. Executive Chef/Owner Seth Woods has forged a path in the Boston restaurant scene for innovative, yet traditional French cuisine. Aquitaine's wine program is ambitious in both pricing and structure. Carefully selected offerings cover all the important French wine regions, as well as the classic big California houses and boutique wine houses. Seasonal outdoor seating available.